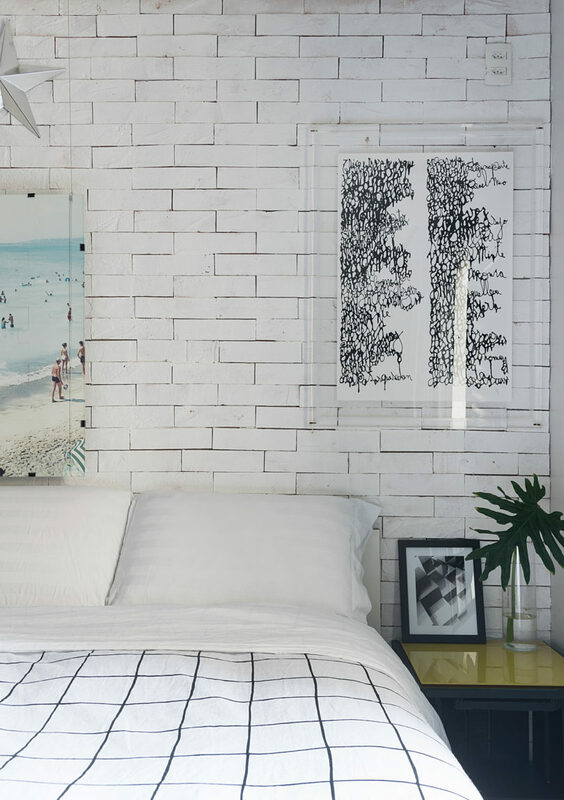 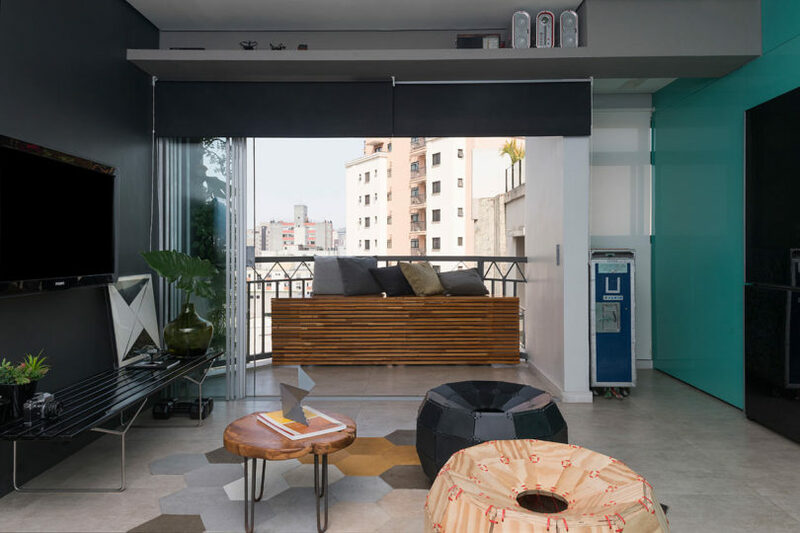 Flavio Castro, of FCstudio, took the reins of the renovation of this 60-square-meter (approx. 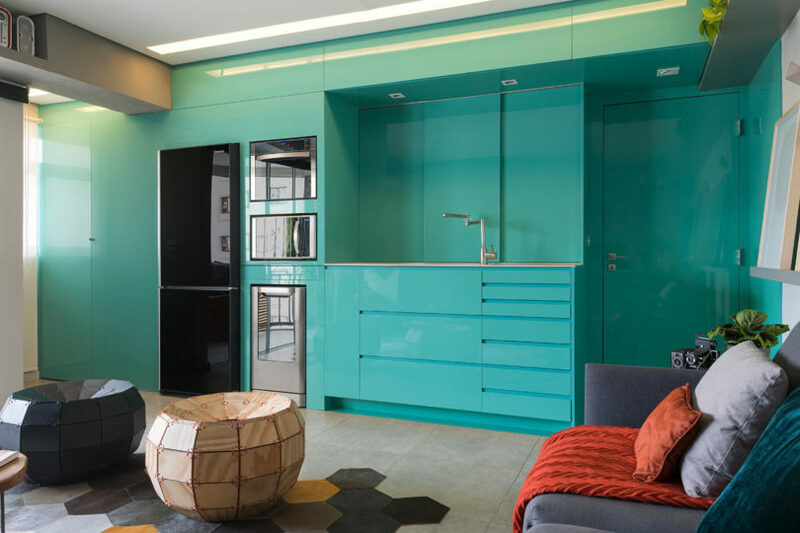 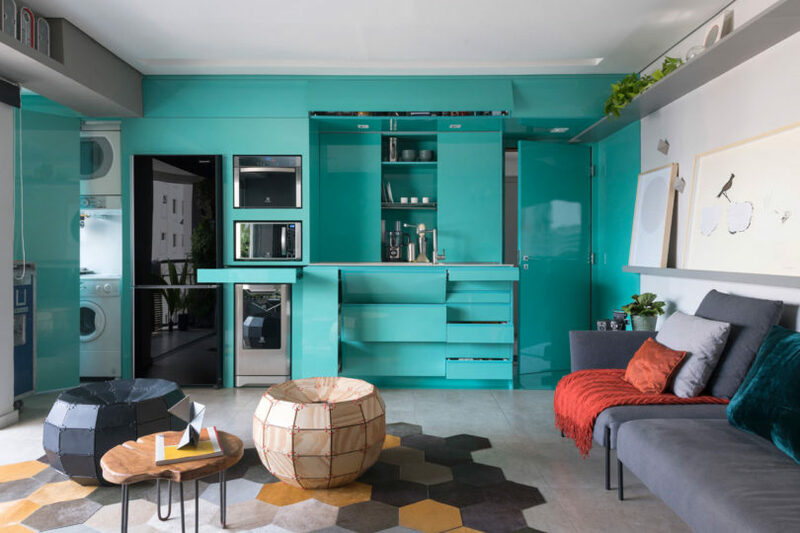 645-square-feet) apartment in São Paulo, Brazil, with the first order of business being to open up the sectioned off interior. 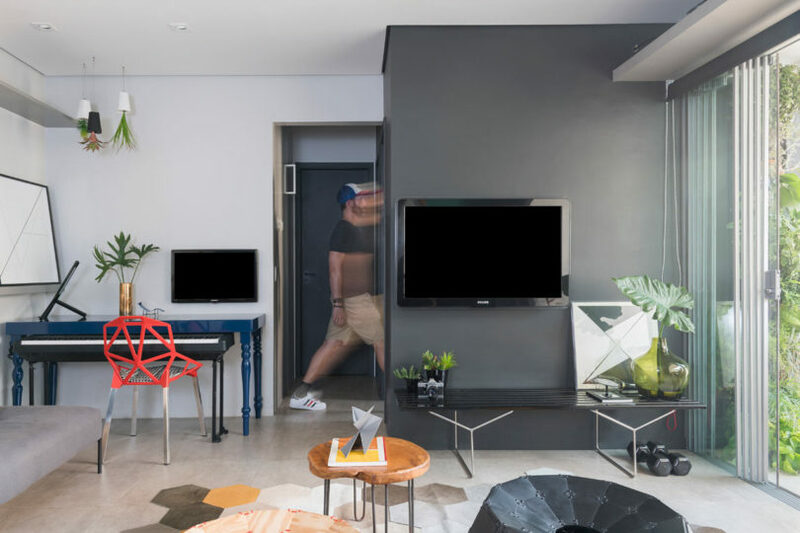 The layout had to be restructured to fit the lifestyles of two young brothers to include a living room, TV room, dining room, kitchen, laundry, balcony, and office in one single space. 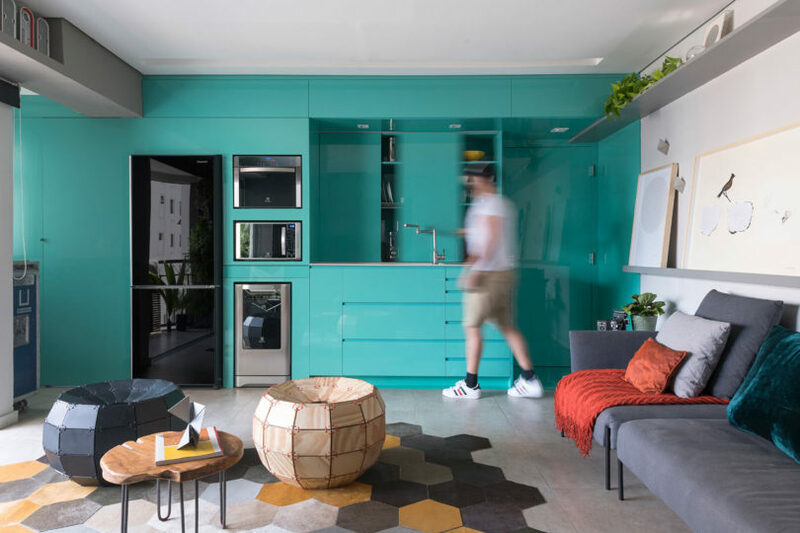 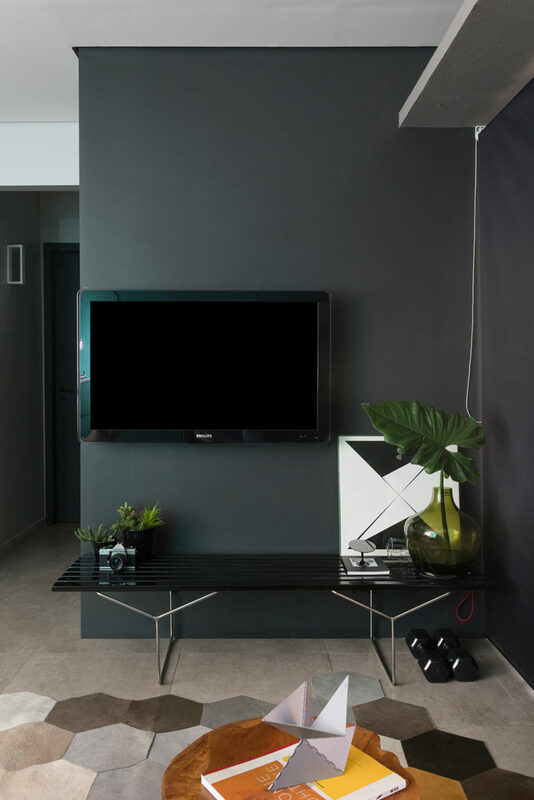 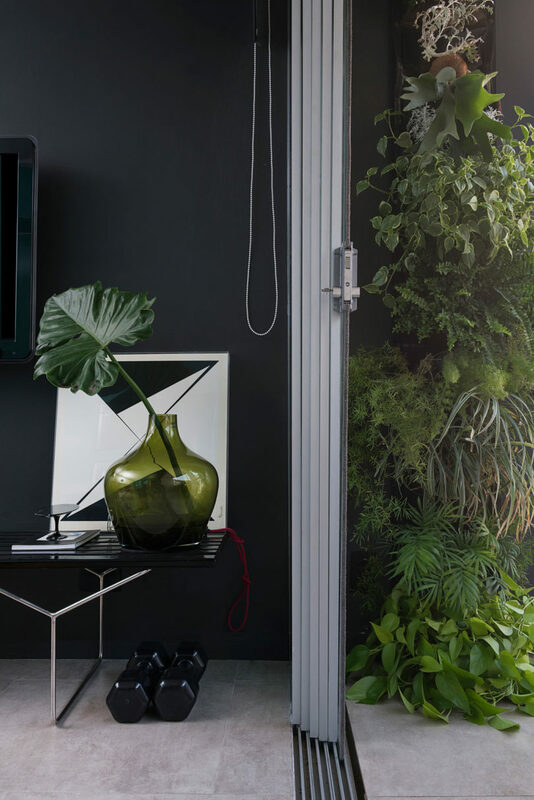 The result is the Vila Olimpia Apartment complete with modular pieces that can be rearranged to accommodate their needs and adapt with them over time. 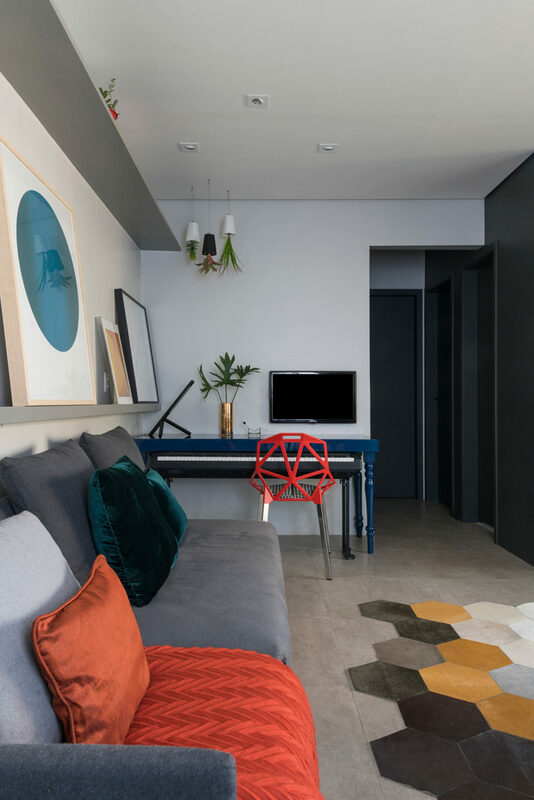 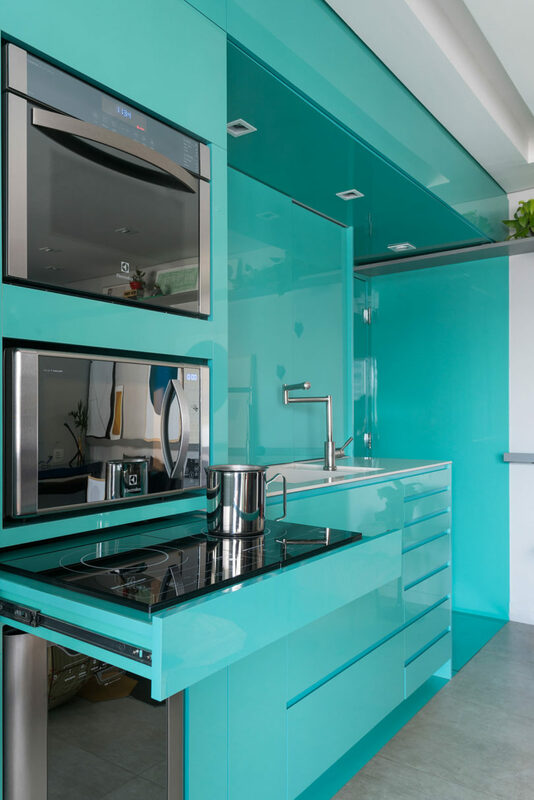 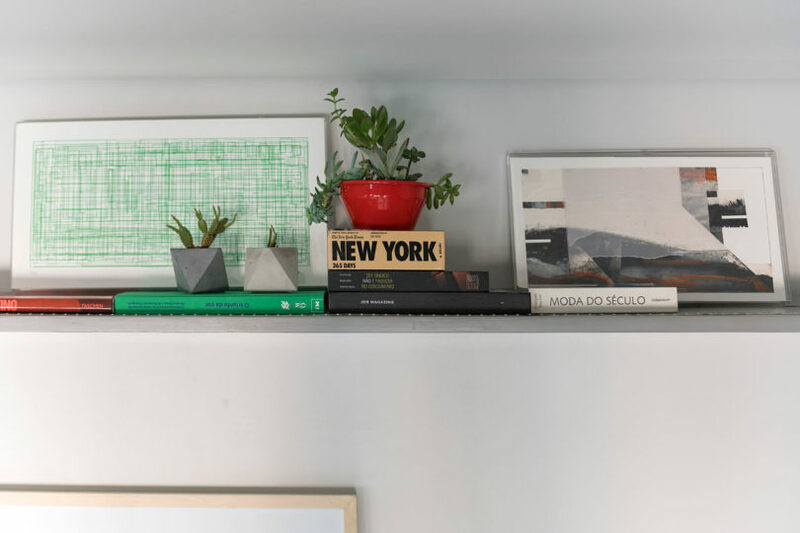 The apartment is designed to easily transition as needed to make way for working, cooking, eating, washing clothes, etc., without any disruption. 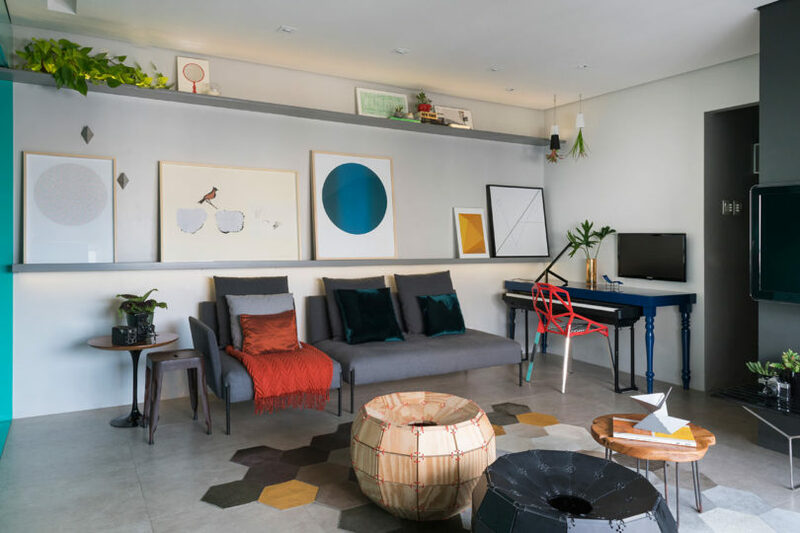 Now that the walls have come down, the open space makes it easier to entertain family and friends without separation. 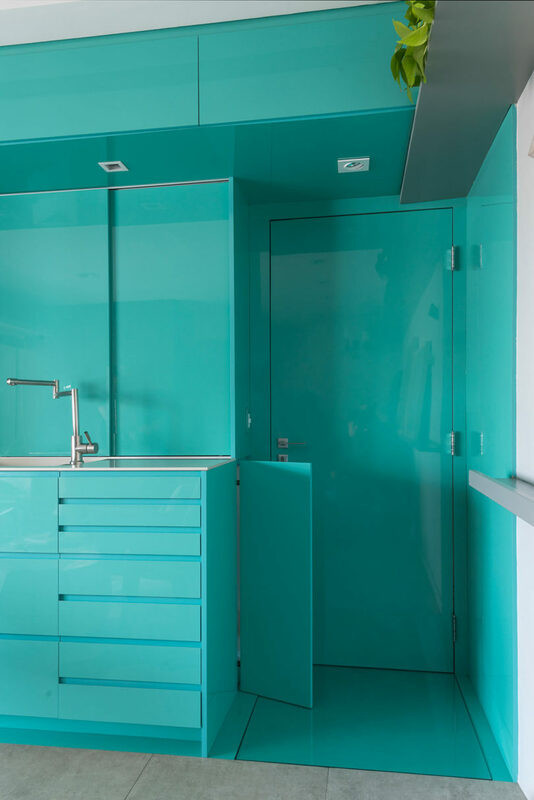 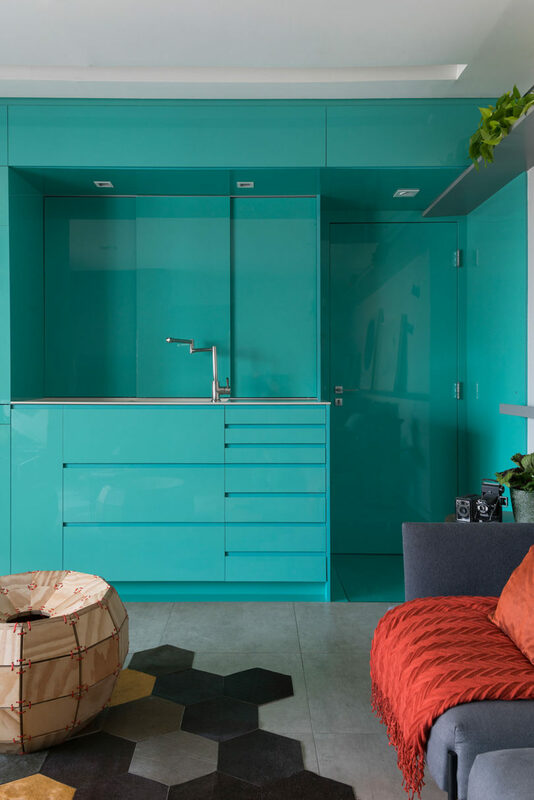 The wall of turquoise cabinetry houses storage, laundry, and the kitchen for a uniform and less cluttered look. 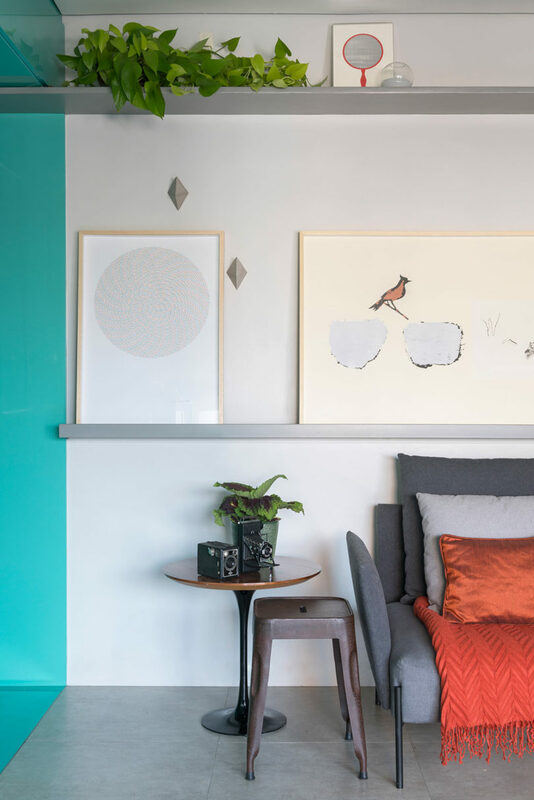 Bright, cheerful colors are paired with darker ones for a balanced feel while keeping the space light and bright. 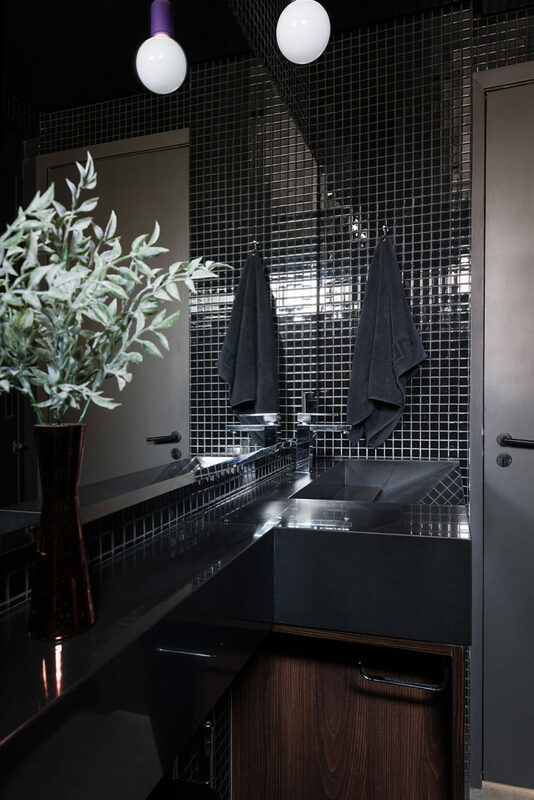 Christopher is a creative who believes in the power of beautiful interiors to transform daily life. 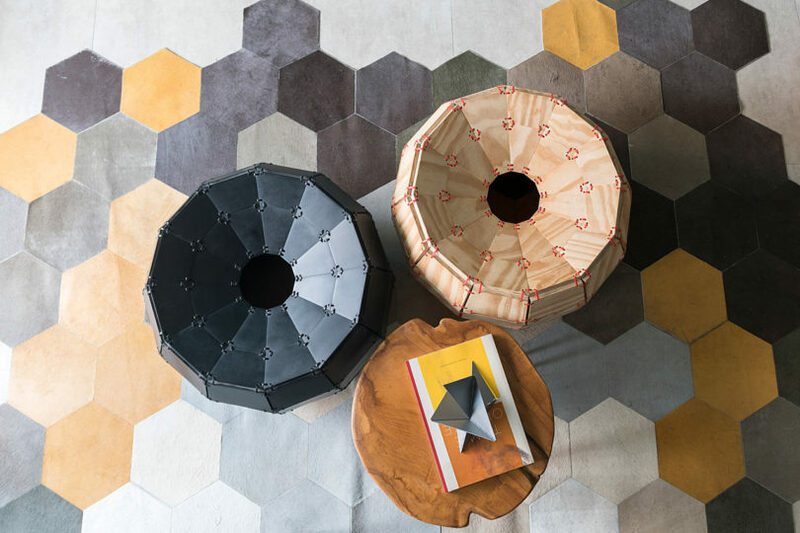 With a a well trained eye for quality, craftsmanship, furnishings and textiles, he continues to be recognized for his crisp, timeless style and designs that remain fresh year after year. 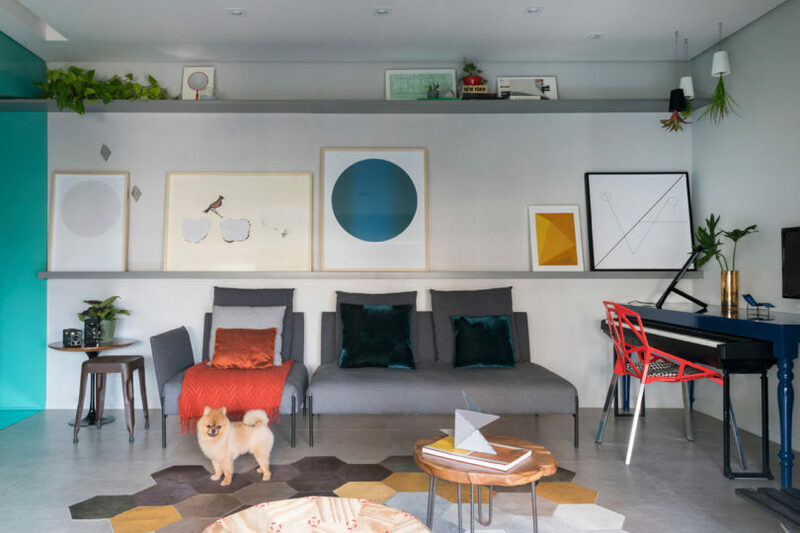 Home Renovation: How To Provide More Space In The Home?